Carl Nielsen had only a few weeks to relax after his confirmation at the age of 14 before he was sent away. Obviously neither of his parents can have believed he had any future as a musician, as he was apprenticed to a shop­keeper in the village of Ellinge about halfway between Nørre Lyndelse and Nyborg, that is a couple of miles away from his home. But by midsummer the shopkeeper had gone bankrupt and Carl had to go home to his parents. Luckily all went well and, armed with the admonitions of his mother against possible bad company and dangerous acquaintance with “bad” women, as she put it, Carl took up his new appointment on 1 November 1879. Nielsen had not given up the violin, but in his first two years in Odense he usually only played it when he went home to appear at dances with his father. In 1881, on returning to Odense after the summer manoeuvres in Jutland, he began playing the violin more systematically. He started to take lessons with Carl Larsen, who had been sexton at Odense Cathedral since 1873. We do not know with certainty how much Carl Nielsen composed during his time with the military band in Odense. We know from “Min fynske Barndom” that he wrote some trios and quartets for brass instruments, and moreover that at first he had difficulty in coming to terms with the fact that the instruments were tuned differently. All these works are lost, but some ten pieces of chamber music still survive. Carl Nielsen has told us that a few local men helped him in various ways while he was a military musician in Odense, though we do not have many details about the exact part played by any one of them in particular. The most central figure is Klaus Berntsen, the high school headmaster and MP, who among other things helped Nielsen to get to Copenhagen by giving him an introduction to Niels W. Gade, who was director of the Copenhagen Conserva­tory of Music. 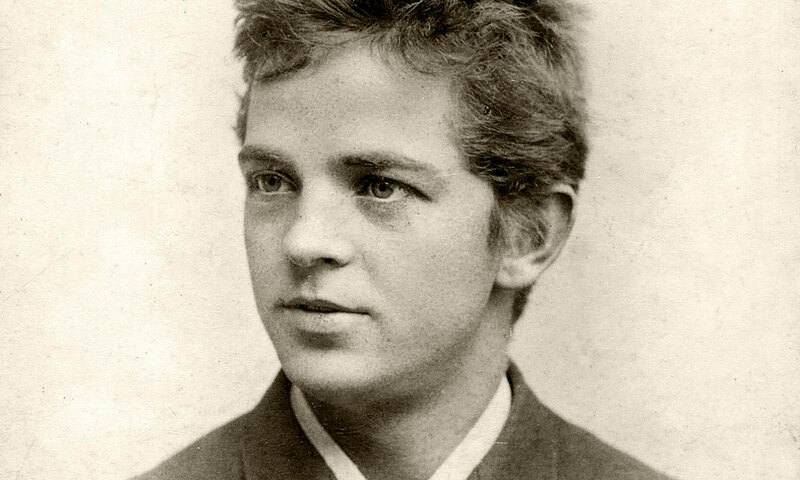 Carl Nielsen went to Copenhagen in May 1883, armed with his violin and a new copy of his String Quartet in D minor, also hoping to pay a visit to the well-known violinist Valdemar Tofte, who was teaching at the Conservatory. He was well received by both Gade and Tofte, so once back in Odense he made sure that he could be released at short notice from the military band. In December he went to Copenhagen again and took the entrance examination for the Conservatory of Music (later the Royal Danish Academy of Music). Besides Niels W. Gade and Valdemar Tofte the jury included the aging composer J.P.E. Hartmann. The examination was satisfactory, and he was admitted on a scholarship. He spent Christmas at home in Nørre Lyndelse, but on one of the first days of January 1884 he returned to Copenhagen, where he was to live in fortune and misfortune for the rest of his life.